I moved for a lot of different reasons. First off, I was kind of getting tired of the limited options Blogger had. Sure I could edit my blog design to my heart’s content, but I wanted more. I wanted to be able to use plugins to make my life easier. I wanted to be able to stop worrying whether Google was just decide one day that they didn’t like my blog and yank it out of the blogosphere (yes, Google actually can do that). I guess I just wanted more freedom, and to be honest, I was kind of getting bored of Blogger and hearing what you could do on self hosted WordPressed, but not on Blogger. The move kind of cost quite a bit – it cost me around $150. I decided to go with RFE Hosting‘s cheapest option which cost around $90 annually. They aren’t the cheapest host out there, but they had the best reviews. Plus, Ashley at Nose Graze had a really great tutorial for moving to WordPress with RFE as a host. And by buying annually, RFE Hosting registered a new domain name for me for FREE. WordPress.org is free too so you don’t have to worry about paying for that (but you need hosting to be able to use it). 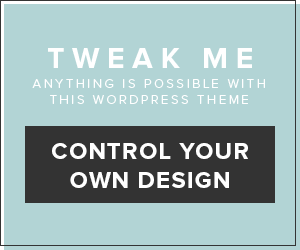 After I purchased hosting, I also purchased the Tweak Me Theme and the Ultimate Book Blogger Plugin from Creative Whim, also known as Ashley at Nose Graze, which cost a total of $70, so yeah. I have none so far… okay, so that’s not exactly true. My only regret is that I wasn’t able to move my GFC followers over and be able to redirect my blog at the same time. I know a lot of people prefer to follow by GFC and to those of you, I’m sorry. It’s just that I don’t want to run the same blog in two different places, which is what’s going to end up happening if I don’t redirect. To people thinking of switching to WordPress.org, I would recommend doing your research before you make the switch. Look up the best hosts for you. Think of a domain name (if you don’t have one already). Switching is not a decision you can you jump to. Once you switch, there’s no going back (well, at least no until you’re hosting ends, unless you want to waste money). I would also play with WordPress.com first to kind of get an ideal of WordPress.org is like. The two are different and WordPress.com is WAY more limited, but they do have kind of similar interfaces. Oh, and be prepared to deal with the possibility that you will lose GFC. Some people are able to have it on their WordPress blogs, and some are not. Investigated – Do you buy books online? I love what you’ve done with Tweak Me! *Squeals with excitement* Welcome aboard! I made the switch a few weeks ago and I LOVE WP 😀 I also bought the Tweak Me theme and it’s amazing how much you can customize with it! Weekly Recap| Jun 22-28, 2014 | Oh, the Books! Welcome to WordPress! Woo! I left Blogger because I did not like the thought that I did not own my content, and that I could wake up to a deleted blog! I also use RFE – they’re the best! Wonderful customer support and uptime! Thanks for the welcome! 🙂 That’s one of the reasons why I left Blogger too. Working hard on creating a good blog but still having to fear it being taken down just wasn’t sitting so well with me. I’m glad you like RFE so much, hopefully I’ll be able to say the same.